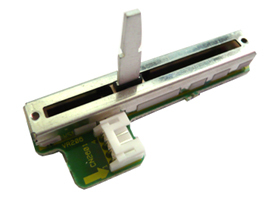 Pioneer Channel 3 Line Fader for DJM800 (DWX2539) DJParts - All Variety of Parts that DJ Needs. Pioneer Channel 3 Line Fader for DJM800 Mixer Official Pioneer replacement line fader for DJM 800. This is for channel 3 specifically.